Sonex Employee Anniversaries: Kerry Fores Celebrates 16 Years of Service! Congratulations to Kerry Fores, who celebrates his 16-year employment anniversary at Sonex Aircraft, LLC this month! 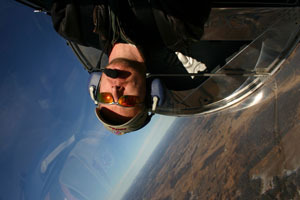 Kerry has been with Sonex Aircraft since January 2003, but volunteered his time beginning in 1999 after learning of John Monnett’s plans to develop the Sonex design. As Technical Communications Manager at Sonex, Kerry is primarily responsible for leading our technical support efforts, while writing, maintaining and managing Sonex Aircraft technical manuals, instruction sheets and other documentation. Among other talents, Kerry is an avid creative writer, and now has a regular column in Kitplanes magazine.